Ochazuke is a Japanese dish consisting of green tea, most commonly Genmaicha, rice, & other ingredients such as soy sauce, rice crackers, & seaweed. 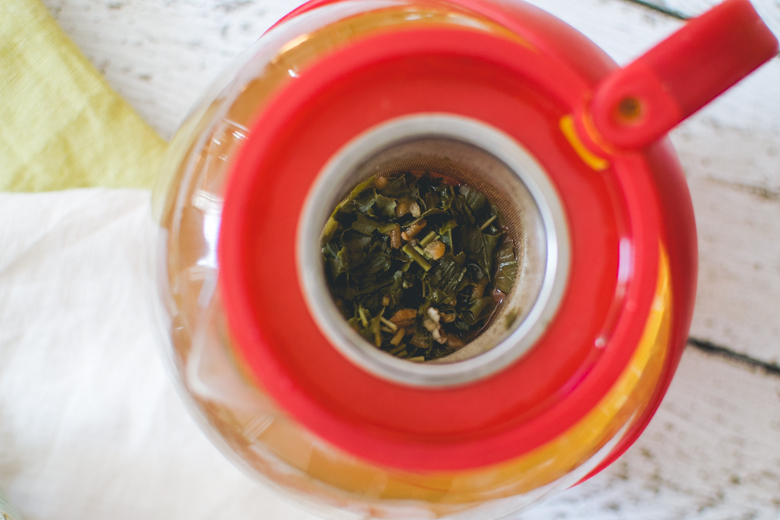 My recipe for National Hot Tea Month is a great way to warm up before braving the storm or just filling up for a quick breakfast (given that you have brown rice premade), plus it’s really healthy! I used short grain brown rice instead of the traditional white rice, but you could use shirataki noodles instead if you’re concerned about carbs. Gotta hand it to the Japanese to come up with a brilliant dish utilizing their savory tea. If you’re having trouble finding Genmaicha or wakame ochazuke, just Google it like you know how to interwebz. Good use of tea? I definitely think so! So, you wanna see some snow pics? Yeah, you do. 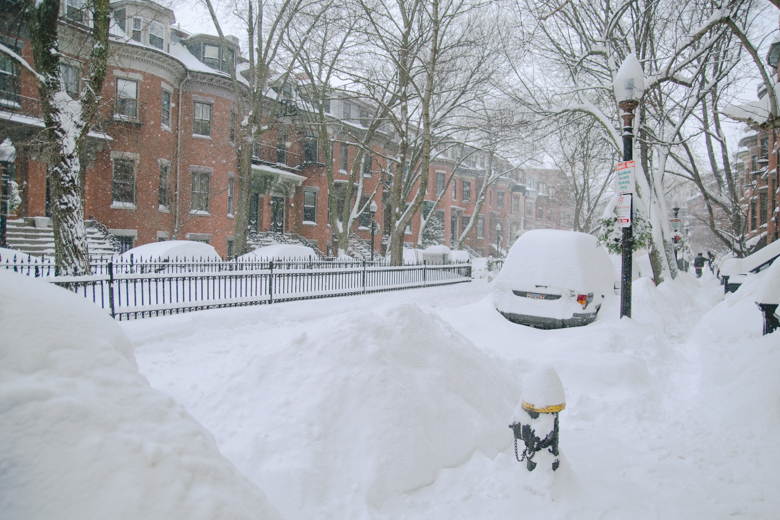 I believe over 30 inches (~76.2 cm) of snow covered the city. Classes were cancelled for 3 days & the governor declared a State of Emergency. 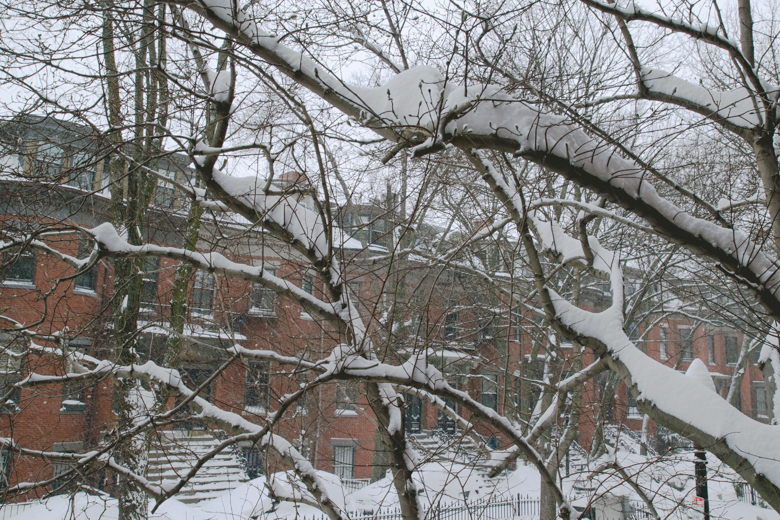 It wreaked havoc in other parts of state, but it was really quite beautiful. Right now, there are just tons of snow walls to climb over & my current boots are completely useless. Damn you, L.L. Bean, Y U BACK ORDER ‘TIL JUNE FOR??? AYEEEE. 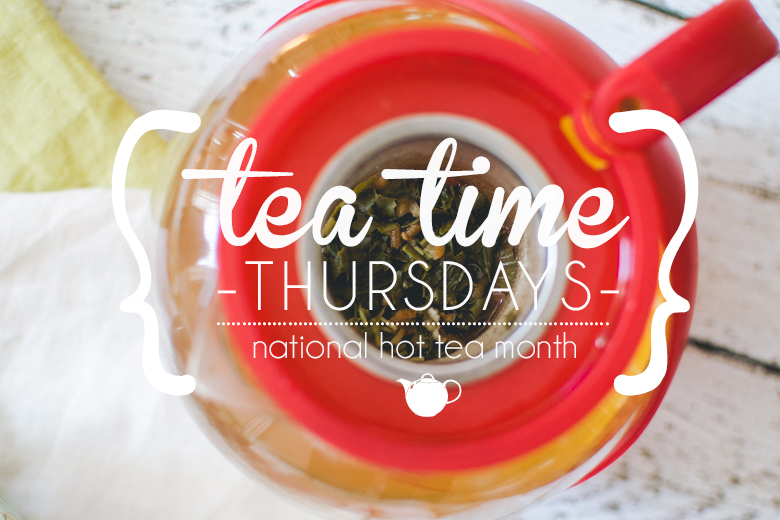 So, what tea are you drinking in celebration of National Hot Tea Month? I didn’t know January is a national hot tea month. I guess I should celebrate it with a few cups of hot tea before February arrives. Oh, if only I were in the cold Midwest right now so the hot tea can complement the wintry scene. Speaking of winter, the pictures are so pretty! I mean, besides the inconvenience of driving or general transportation around the city. I hope it wasn’t so bad to the point you couldn’t even walk to the grocery store. :/ That’s interesting how the governor declared a state of emergency even by the New England standards. This would’ve been an apocalypse here in Texas. I know you enjoy the cold weather, but stay warm! Thank you! Well, since it was a state of emergency for 3 days, you could travel by foot, but not get very far until you turned into a popsicle. 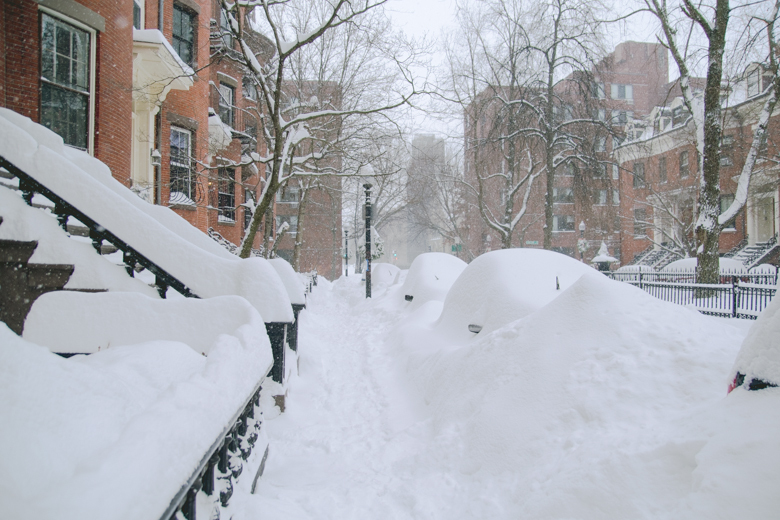 It was a blizzard after all, so of course there’d be a state of emergency (no cars or public transportation would run unless it’s an emergency vehicle). 30+ inches of snow is no joke! In addition, the wind was intense!! More than 60 MPH at times. Everything was shut down. Grocery stores closed. I stocked up though, still going strong. How are things going a week later? I hope things improved a bit a week later. On a side note, my site URL has changed. All of my subsequent comments on your posts will redirect you to my blog through a different domain. Same host, same content, same everything else. 30 inches of snow?! HOLY COW. If we were to get that much snow . . . that’s definitely 2-3 snow day for us! Us Seoulites would so not know what to do with that much snow! The most we got in my lifetime is like 10-12 inches, and that gave us two snow days! 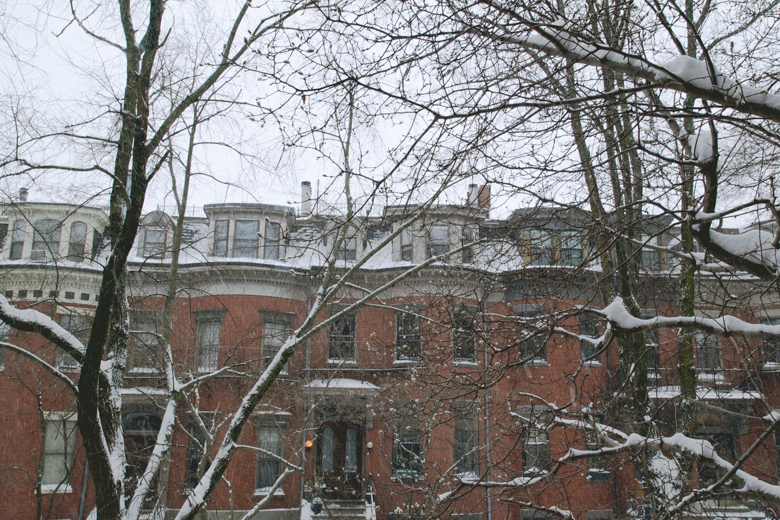 Thanks for sharing your snow pictures! Everything looks so pretty! I’m sure shovelling and cleaning were a pain, though! And yum for tea! I had no idea January was National Hot Tea Month either. That’s pretty cool! I love tea, especially black teas. My favourites are Irish breakfast tea and Earl Grey. I also like green tea 🙂 I should drink more tea, but I’ve been on a coffee kick lately . . . oh, well! We’re having another snow day today! Another foot of snow, so it’s a snow day again. I don’t have to shovel or clean anything actually haha. I don’t have a shovel & the company that leases my building takes care of all the shoveling & salting for us. Pretty awesome perk! They vacuum the hallways for us once a week too. If you’re on a coffee kick, you could always try to mix it up with some black teas. It has a good amount of caffeine in it, but not nearly as much as a shot of espresso. Both coffee & tea have health benefits, but tea is better than coffee in terms of health, that is…if you drink it straight: no cream, sugar, honey, syrup, etc. Look into some almond, hazelnut, walnut, or vanilla like black teas. They’re good in place of coffee! Wowww, you guys got so much snow! It looks both beautiful and very inconvenient at the same time, haha. 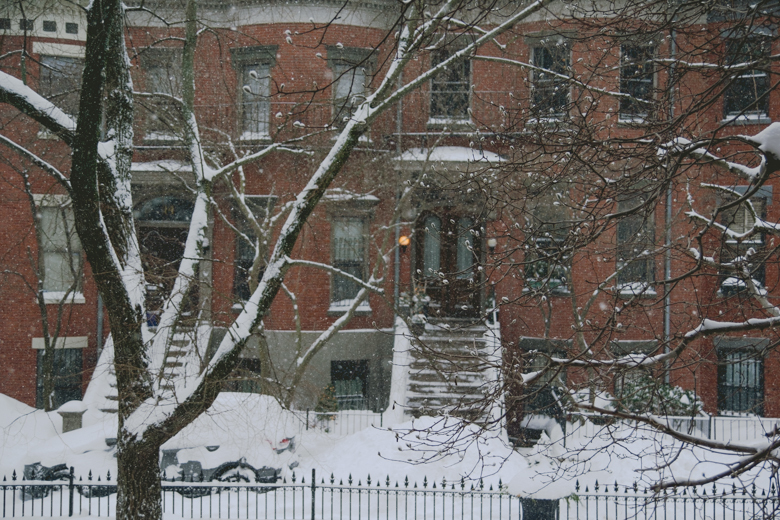 My memories of heavy snow was when I was young and living in NY. I left before I was old enough to deal with shoveling it or driving in it. I don’t think I could handle that much snow now! I didn’t know it was either until I saw it announced on TeaChaiTe.com! Then I looked into it because like you said, there are so many national holiday months/days that you simply cannot know them all. 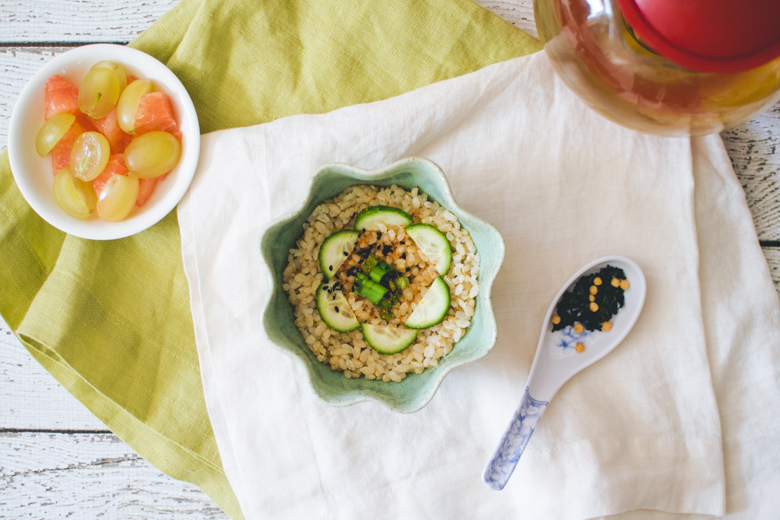 Ochazuke traditionally uses flaked salmon too, so I think you’d really enjoy it! I just made a vegan version of it because I didn’t have any salmon, but next time! Simple, healthy, & delicious. Surprisingly hearty too! If you can believe it, we’re getting about another foot of snow today with the third winter storm hitting us within a week (this one’s name is Linus). Pretty windy out there, otherwise I’d brave the snow & go to the grocery store, so yessss very inconvenient. The most beautiful inconvenience. 😐 No state of emergency issued, but everyone’s car is buried under snow & the roads are no longer visible. 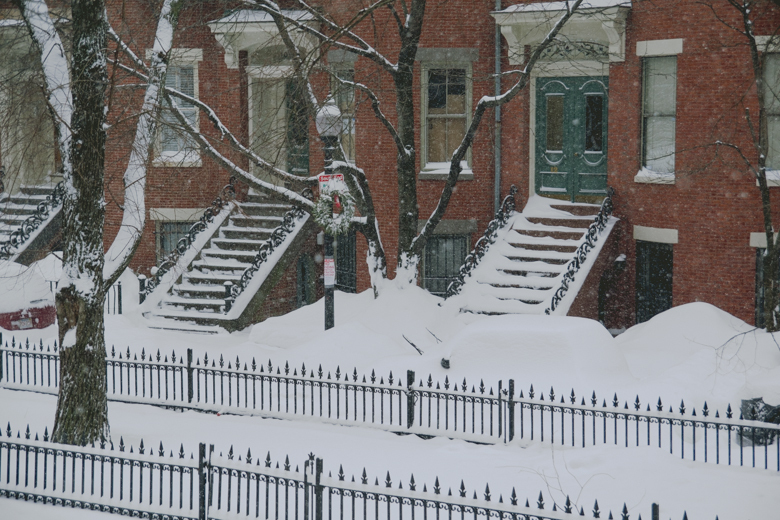 I can’t even see my stoop. The fear of eating snow not on purpose is reaaaaaal. I lived in the midwest when I was born, so I too, never dealt with shoveling or driving in it. Parents hated it. 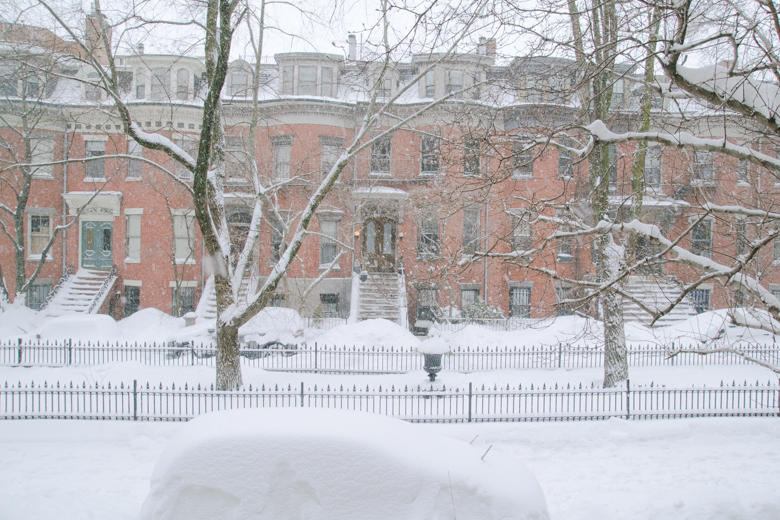 Haven’t shoveled any snow myself yet though – perks of living in the city without a car! Wow, this is really lots of beautiful candid snow! It must be so peaceful… definitely perfect for a good cuppa and a warm Ochazuke. Wait a minute, ochazuke? Never heard about it. Do you know that I love (LOVE) everything about Japanese food and green tea? I must convince my bf to give this a try! We have another storm hitting us right now called Linus. It’s coming down pretty hard – about 31 cm of snow fall right now! I was going to go outside to the library & grab some snacks from the grocery store, but the last thing I want is to be snowed in at a library without food. The wind is really keeping me inside more than the snow though. Barely any visibility out there. Should get down to -15º C tonight too! I didn’t know you loved everything about Japanese food! I think it’s difficult not to appreciate Japanese cuisine, even if you’re vegetarian or vegan. The culture & the food tie in so much that when done right, you can practically taste the dedication to perfection. I also see that in Italian cuisine too. It’s pretty chilly in London these days, so I hope you stay warm with a nice bowl of ochazuke! It’s so easy & quick to make. I am drinking the Movie Night tea you bought me from David’s Tea! 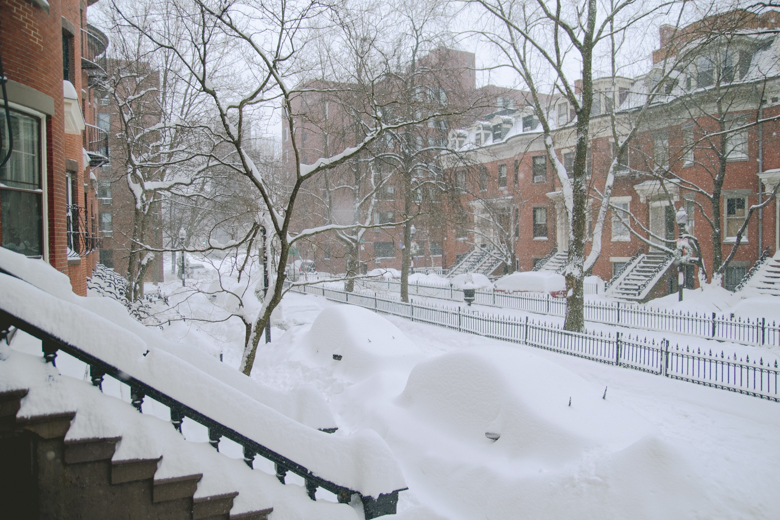 Also, your photos eerily resemble those I took of the 2010 Snowpocalypse in NYC. 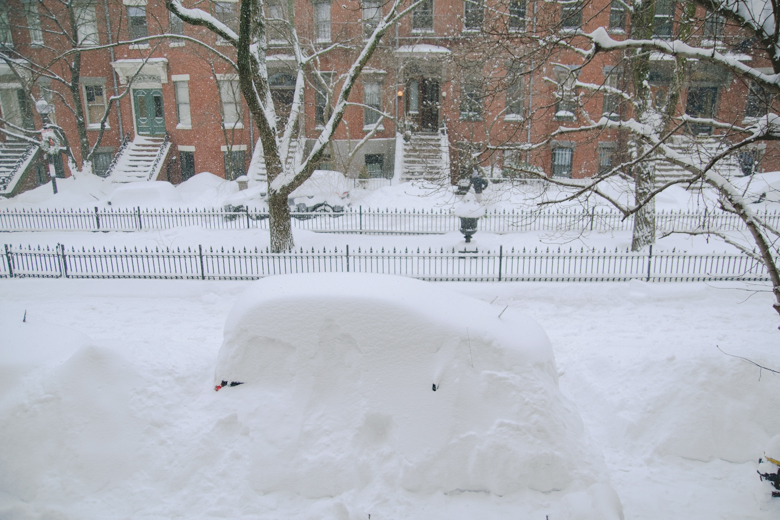 The tiny snow-engulfed cars lining your street look like sleeping white camels of the winter desert (new GoT characters?). Stay warm and next time I see you it will be over spicy jambalaya! I’m really excited for NOLA! No more snowmaggedon!!!! Hot tea month sounds perfect this time of the year! 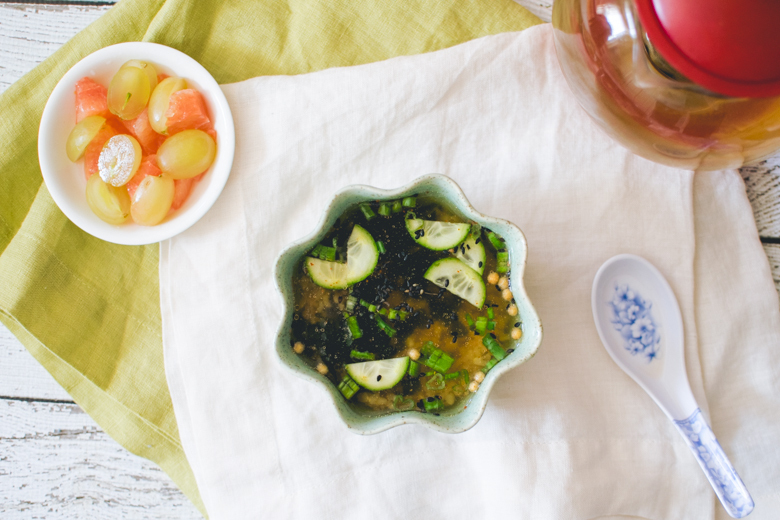 I’ve never heard of tea being used in soup broth before; but it does sound good! Avoiding fast food is the best first step to take! 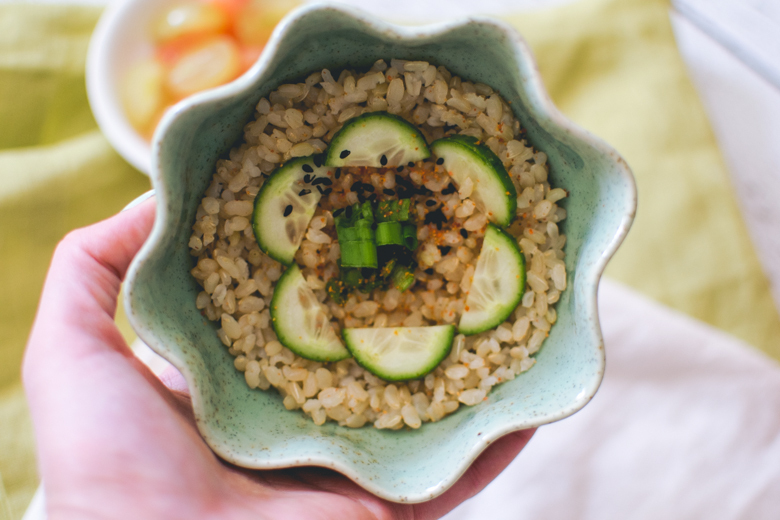 The vegan ochazuke looks delicious like all of your recipes ;). And even moreso with with the soup! Isn’t it really hot in California these days? Eh, tea is good hot or cold. 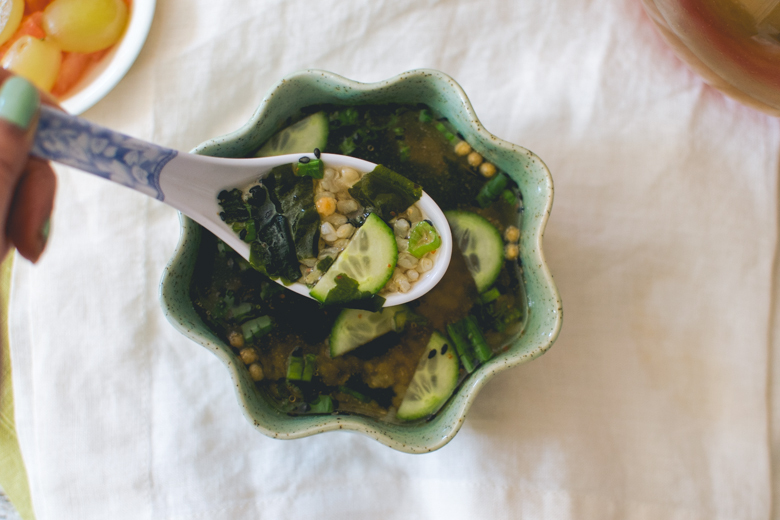 It’s really healthy if you use a nice savory Japanese green tea for soup broth! Thanks for the compliments. Trying to stay warm, except it’s really really really exceptionally cold outside.